A story line written based on Disney's Snow White and Seven Dwarfs, but less romance, more action and adventure. Like the normal Snow White, the Queen wants her dead. But this time she wants something that belong to Snow White that can help the queen become immortal. 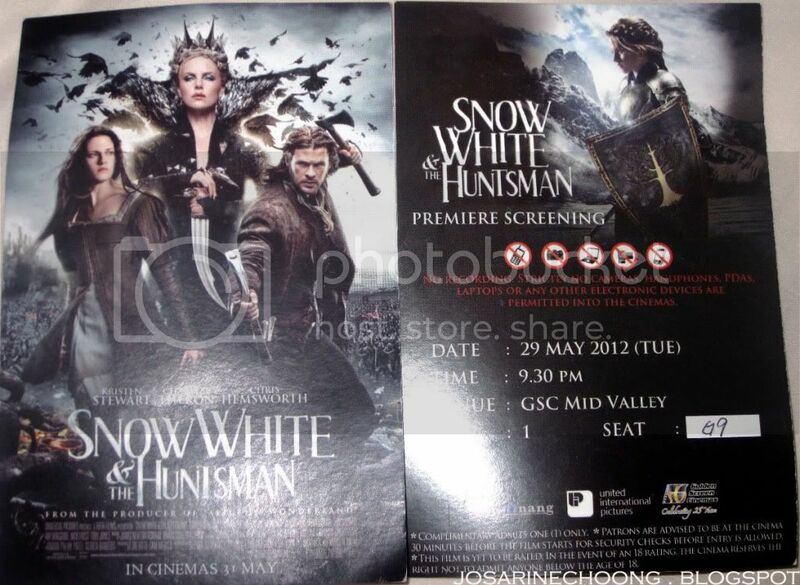 (SPOILERS)The huntsman, Chris Hemsworth was supposed to bring Snow White back to the Queen in return for his wife, but an incident happened and since that incident he started protecting Snow White instead(SPOILERS-end). The whole movie is basically like that but a little more dramatic, or action-ish than the usual fairy tale. Firstly, I thought the queen was prettier, no offense to Kristen, I mean I think she's pretty attractive too. I also think that they chose the wrong actress to play Snow White. It's not that she's not pretty or fair enough, but she does not have that pure and innocent kind of look a Snow White should have. An example of people that has the pure and innocent face would be the girl who played Alice in Wonderland. The action scenes such as the fighting and all I personally think it's quite good, but i wasn't very happy about the ending. But I do like how the Snow White in this movie isn't a typical girl who only sings, I like how this Snow White actually tries to fight. Oh yeah this movie reminded me of Fa Mu Lan a little as well.Though the overall movie was actually pretty good, but I am not wow-ed by it. If you are wondering if this movie is worth watching in Cinema, I would say it's okay. If you watch at the Cinema you won't feel total loss, but watching at the Cinema will not be great either. 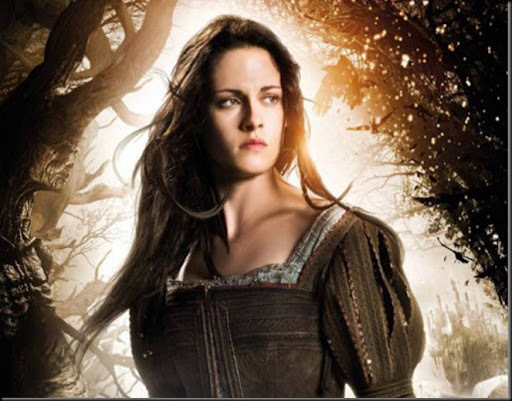 Snow White & The Huntsman is a satisfying start to what may become a long-running series.